The stage is all set for the grand release of the highly-anticipated teaser for Megastar Chiranjeevi’s prestigious historical biopic on the first Telugu freedom fighter Uyyalawada Narasimhareddy, Sye Raa. The teaser will be released on August 21st at 11:30 am as Chiru’s birthday treat. Chiru has already finite dubbing for the teaser last week. Last night, the film’s music composer, the national award-winning Amit Trivedi, took to Twitter and said that he has completed the musical score for the teaser. On the other hand, the film’s DP Rathnavelu tweeted a couple of nights ago that he has completed the Digital Intermediate (DI) work for the teaser. 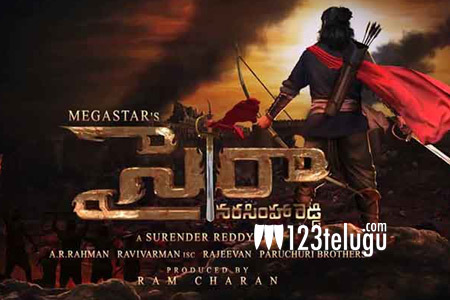 Sye Raa Is being made with a whopping budget of over Rs 200 crores. This magnum opus is being directed by Surender Reddy and Ram Charan is bankrolling it.